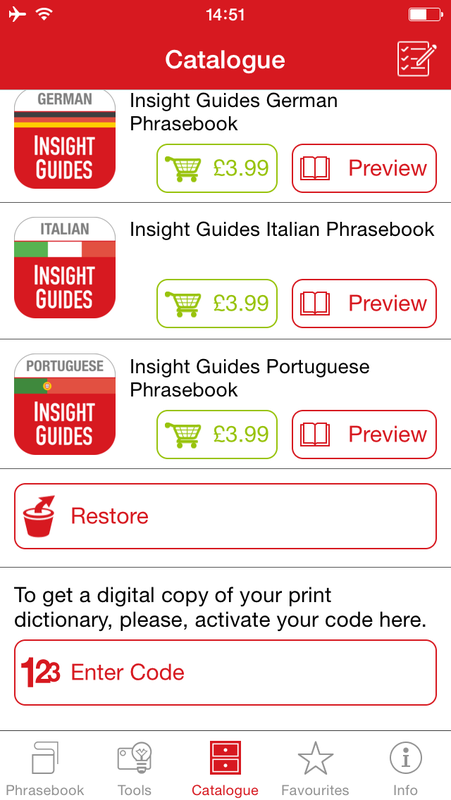 The Insight Guides Phrasebook apps are packed with all the words and phrases you need to feel at home, when away, from ‘How do I get to town?’ to ‘Can I join you?’, all you need to know is right here in one little app. 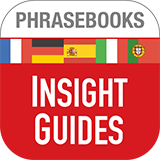 Download the free container app called Insight Guides Phrasebooks from the App Store or Google Play - click on the appropriate badge for your device above. 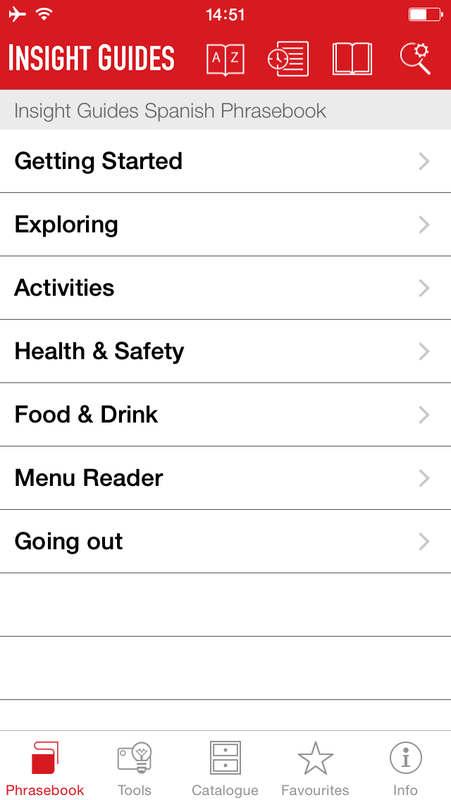 Launch the app and open the Catalog screen. On iOS scroll down to the bottom of the page until you see the 'Enter code' field. 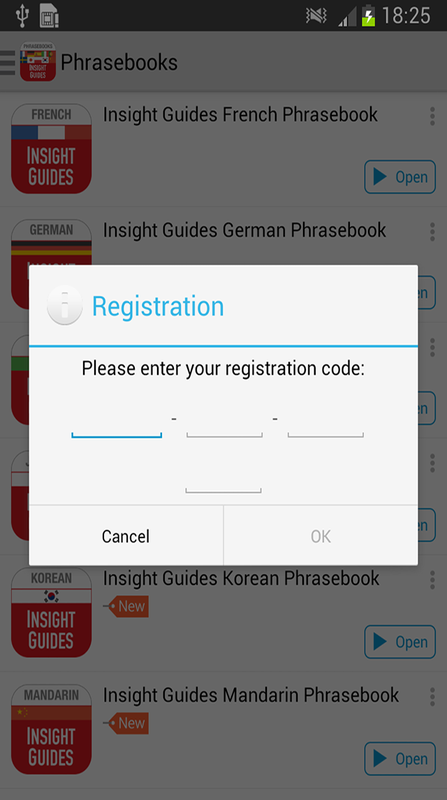 On Android tap on the menu button in the top left to open the menu with the 'Enter the registration code' field. 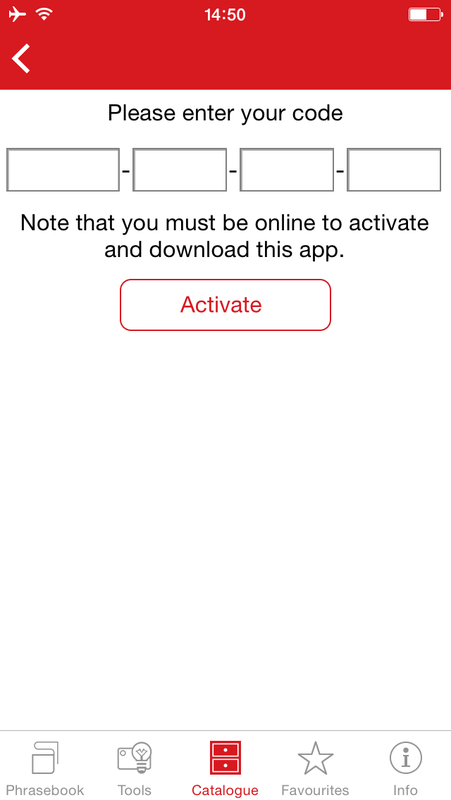 Enter the code in your book and tap "Activate". 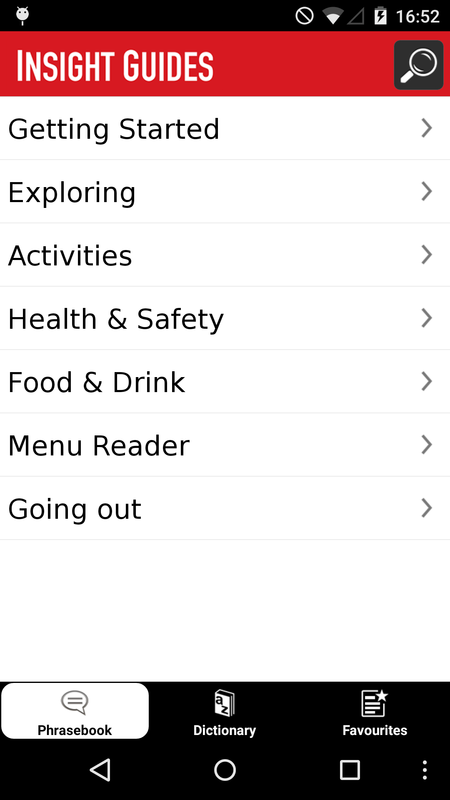 Note that you must be online to activate and download the app. Please use WiFi. 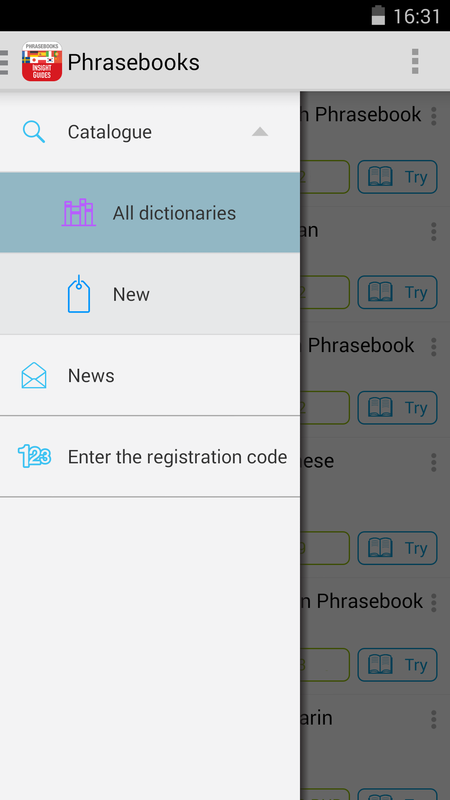 Download the phrasebook and enjoy your digital copy. © Apa Publications UK 2016. All rights reserved.